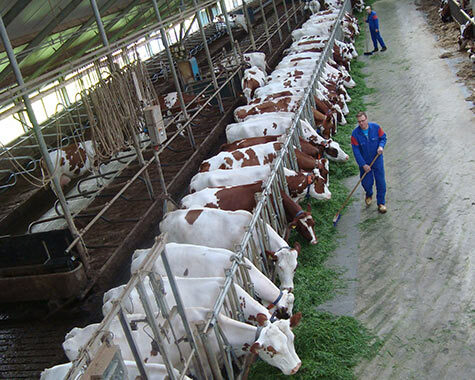 Mesa Hyco specializes in treating the floors and walls of your livestock business. We do this with a durable coating that ensures optimum hygiene for humans and animals. We can not only handle the rooms where your cattle are located, but also the other areas. Thanks to our solution you minimize the risk of the outbreak of infections and diseases. The basis for more operating profit. Mesa Coatings has been the market leader in hygienic coatings for years in the professional agricultural sector. Suitable for professional livestock farming, such as pig farms, poultry farms, cattle farms and even goat farming. 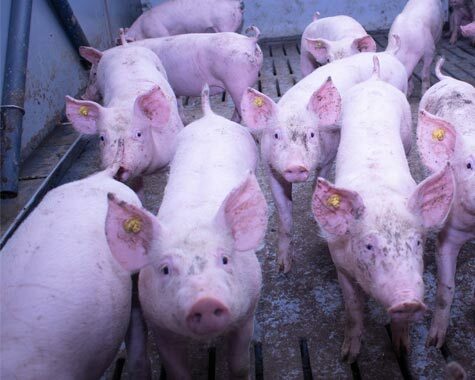 Within your pig farm you can, among other things, make use of coatings for the maternity ward, piglet department, rearing house and the pigsty. We also have suitable solutions for poultry and cattle farming. Walls and walls pose a great risk of the occurrence of unhygienic situations and thus the outbreak of infections and diseases. 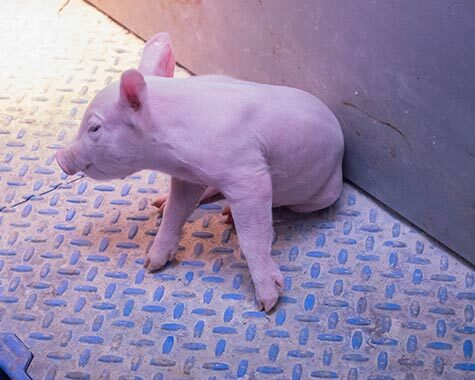 Concrete floors and walls, as well as floors and walls of other common material in a livestock farm, are porous. Also, over time, cracks and holes may develop in which dirt will collect. Even very regular and intensive cleaning is not enough to remove this dirt. There remain (invisible) residues through which these gaps and holes can become a source of infections, diseases and other unhygienic threats. Our coatings provide complete, repellent and seamless coverage so dirt does not stand a chance. The power of concrete, combined with the chemical resistance of a favorable plastic. Sealing the porous structure of concrete. Scratch and impact resistant, thanks to the high quality. An investment in the future, for the guarantee of the longest possible life span. No worries about cracks and seams or even cracks, in order to clean the floor and wall faster and easier. Suitable for the use of heavy machinery or heavy loads by your animals. Extremely robust coating on the existing concrete floor. 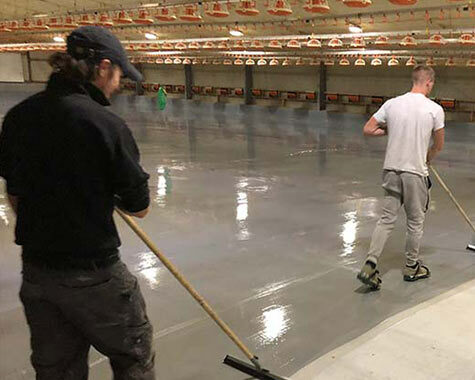 Hygienic coating systems for the floors and walls in your animal husbandry. With seamless skirting to connect the both. We use a clear method. With a lot of mutual consultation, a clear logbook and clear instructions to get off to a good start. We take into account both the temperature and the humidity of the environment, for the ideal conditions to apply our professional hygienic coatings. Choose a team of experienced specialists. Choose Mesa Coatings.